E3 2017 teased a lot of future Switch titles, but one intriguing one that captures people's imaginations — and social media attention — was titled simply Yoshi. Almost two years later, the finished product, Yoshi's Crafted World is here. But does it measure up to the hype? The answer is yes and the some. 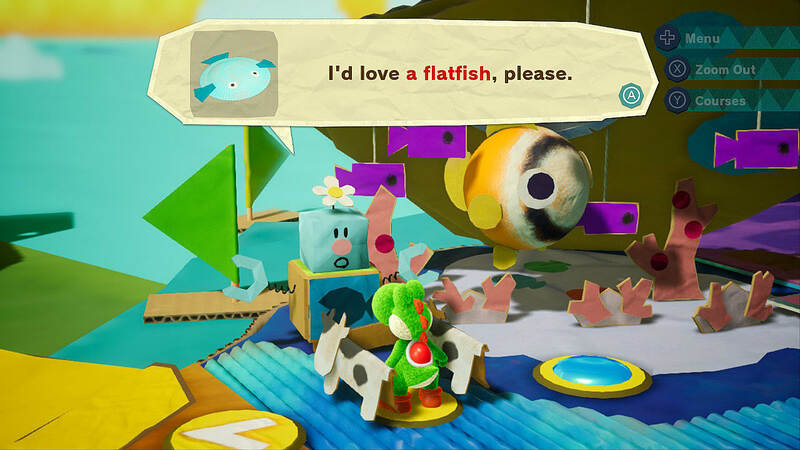 Yoshi's Crafted World might not innovate as drastically as Super Mario Odyssey or Breath of the Wild, but it sets a new standard with its devotion to high-quality content (and a lot of it) throughout. Seamless gameplay design and attention to even the smallest of details make this an absolute must-have for Switch owners. Yoshi's Crafted World stars Mario's famous sidekick apparently before he met up with the capped baby for their chronologically first adventure together in Super Mario World 2: Yoshi's Island. The story opens on a bright and peaceful day. 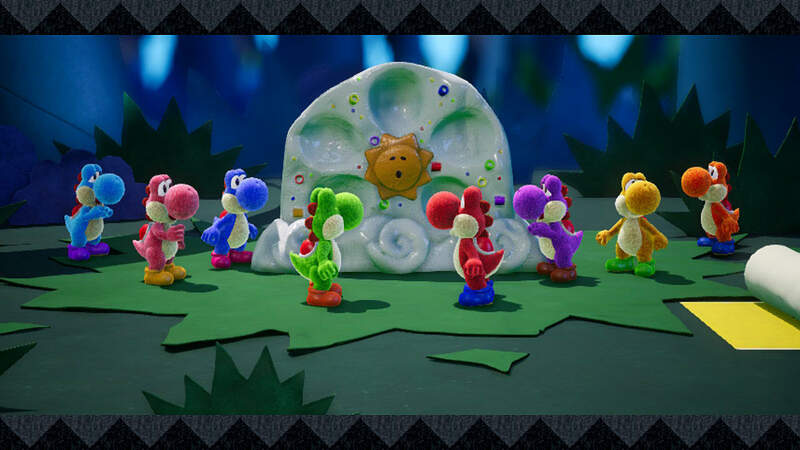 The Yoshis are gathered around the Sundream Stone, a mystical item said to make the user's dreams come true. If you've played a Yoshi game before, you know something bad happens anytime Yoshis gather. Crafted World is no exception. Kamek and Baby Bowser (not Bowser Jr., though they look almost identical) show up and try to steal the Stone. The Yoshis try to stop them, and in the process the Dream Gems — shiny stones set in the Sundream Stone — burst out of the Stone itself and scatter across the island.The hunt is then on to reclaim those Dream Gems before Kamek and Baby Bowser find them first. Crafted World takes place in, well, a crafted world. 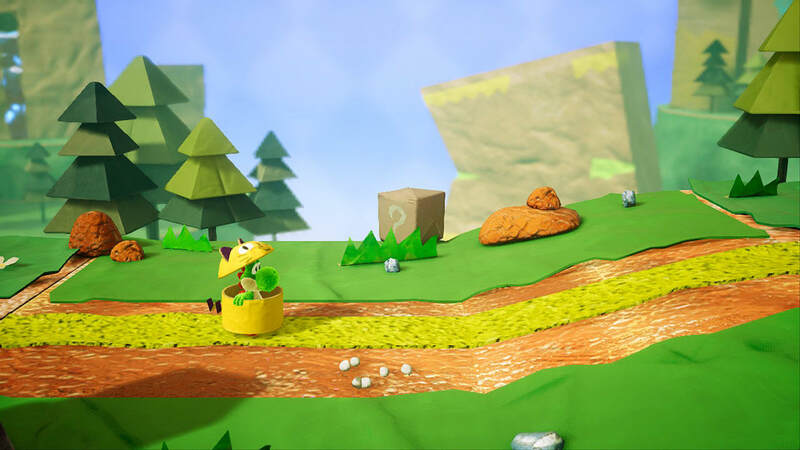 It's a paper, cardboard, DIY-version of Yoshi's Island strung out over different islands. Yet despite being set in that familiar location, you certainly won't recognize any of the themed areas Yoshi visits. 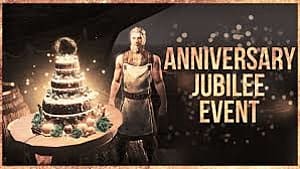 There's the usual lava, cave, and wintery settings, of course; but these are coupled with pirate coves, bucolic train stations, a garden shed, scenic camping trails, a stage infested with demonic clowns, and many, many more. The sheer variety of settings in Crafted World is one of its major strengths because there's always something new to see. This time around, the island is set up a bit differently too. 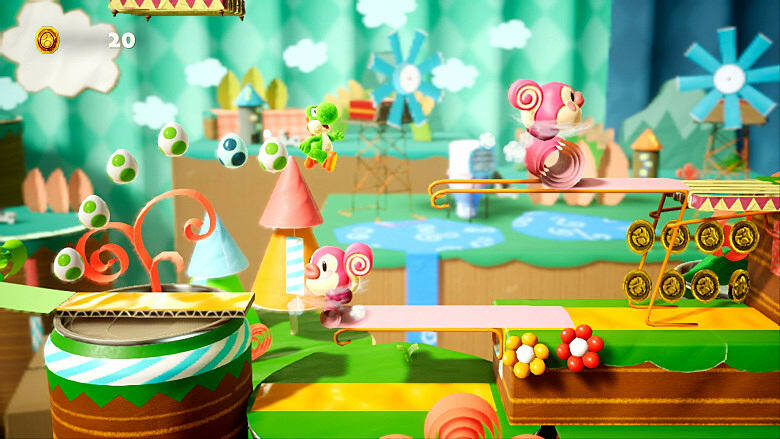 Whereas other Good Feel games, including Yoshi's Woolly World and Kirby's Epic Yarn (and Extra Epic Yarn), have distinct worlds with multiple levels grouped around a specific theme, Crafted World doesn't. Instead, the island consists of multiple smaller regions themed around a set diorama. With a few exceptions, each diorama will have two or three levels, but even then, the levels vary drastically in form and style. For example, the Origami Gardens diorama has two levels. The first is a regular platforming level stuffed full of secrets. The second is a mashup of a platforming level and an arcade-style game where you have to defeat as many Monty Moles as possible to earn the highest Smiley Flower score. It's a theme repeated throughout the game, with every level offering something new. The desert diorama has one level where you use a dino-skull to plow through enemies and obstacles, and the mechanic isn't repeated for the next level. That one sees Yoshi fleeing from a giant, re-animated dinosaur skeleton while still gathering as many extras as possible. 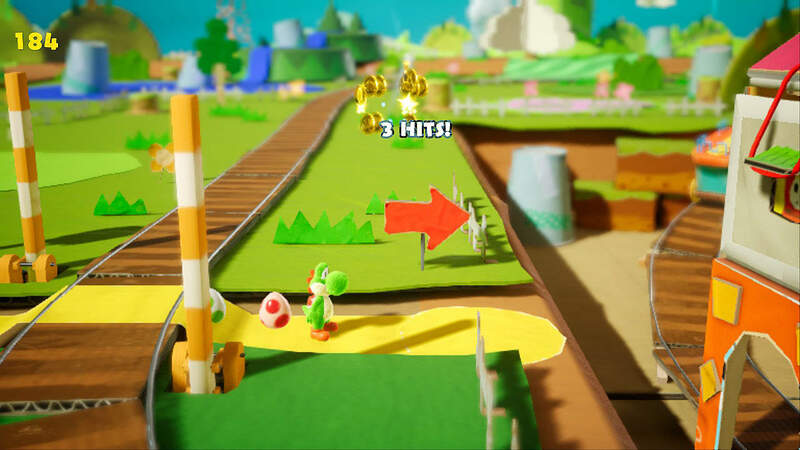 Not only does that mean Crafted World contains the biggest variety of gameplay mechanics of any Yoshi game, but it also means that level and environment designs don't wear out their welcome. Each level throws its best at you, and as much of it as possible, because that's the only chance it has before it's time for you to move on and see what surprises and delights the next stage has in store. The order in which you choose experience these levels largely depends on you as well. After you obtain the first Dream Gem, the world map opens up with branching paths. Completing the Origami Gardens diorama lets you choose between the Dino-Desert and the Pastel Pathway, and the pattern repeats. It's not exactly open world, but it's a nice measure of non-linearity — and to a greater extent than we even saw in Super Mario Odyssey. Each stage certainly does have delights and surprises to show you, whichever path you choose to take. The basic theme is crafts, but like crafty things themselves, there's near endless variety on offer in each stage's design. Take Poochy's Tape Trail for an example. It borrows the paper-craft aesthetic of the Paper Mario games and multiply it exponentially, with intricate paper vines, flowers, leaves, and snowmen set against a changing backdrop of construction paper and cardboard clouds, all meant to represent the passing seasons. Mousers and Magnets is yet another example of the game's clever design. 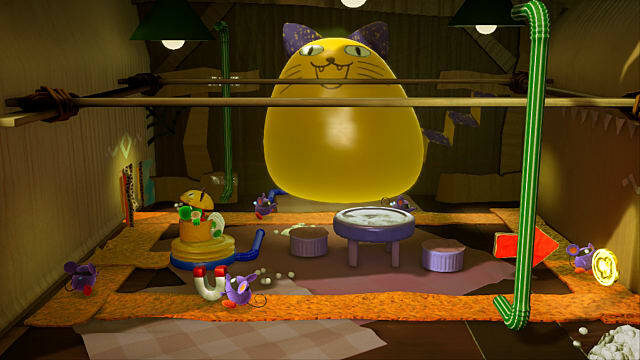 Among other things, Yoshi uses an air pump to inflate a balloon cat and scare Mousers out of the rafters of a cardboard camping hostel because they're playing catch with magnets. 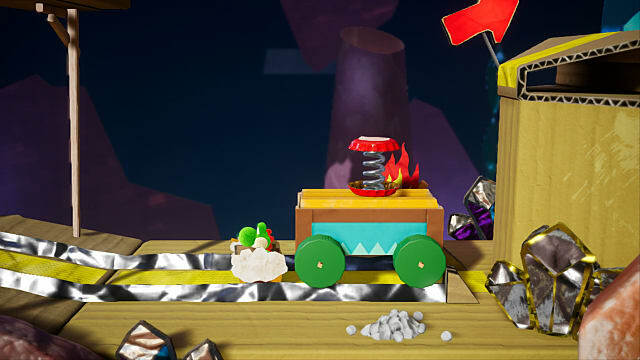 These magnets are how you climb up the soda can cliffs to make it further through the level, but the Mousers quickly flee back up the bendy-straw pipes with their loot. In place of your usual moving platforms, you get something unique to whatever themed area you're in. In Origami Gardens, for instance, you get metal flowers that burst into bloom and shrink back down again. And almost every platform in Yarrctopus Dock's Pirate Pier is made of ropes, which makes them bouncy platforms and changes how you time your movements over the stage's obstacles and enemies. There's even a nod to Woolly World and Epic Yarn in Pastel Pathway's first level, though it must be said, Crafted World's version does trump both in terms of detail and color. This is all just the tip of the iceberg, though. It's difficult to determine which to appreciate more, the overall design or the incredible attention to detail, both large and small. From windmills made of cups and cardboard and paper plate hills with Shy Guys bouncing on platforms just for fun, to toilet paper roll trees and plate fishes on sticks with platforms and their SKU codes still showing underneath peeled paint, Crafted World is absolutely stuffed full of charming touches that make it stand out from the crowd. A fantastic aesthetic and attention to detail wouldn't save a game if the actual gameplay in each level was flawed, though. Fortunately, it isn't. Yoshi's Woolly World was more platform-intensive, similar to a Yoshi's Island game. Crafted World combines platforming with basic puzzle solving and wraps it around levels designed to encourage and reward exploring every possible nook. There's a total of 16 themed areas, with 39 levels and 5 boss battle levels. There's also a hidden world unlocked after the credits roll with three extra stages and another boss battle. Yoshi has his classic repertoire of moves at his disposal, including the flutter jump, ground pound, and egg tossing. Only this time, egg tossing takes on greater importance. You can aim at objects in the foreground and background, many of which hide coins or Smiley Flowers. If you can't seem to find a few Red Coins, there's always a possibility a group of Shy Guys is hiding out behind a prop somewhere, holding the coins you seek. 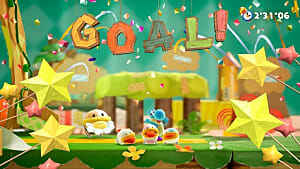 In other cases, you can toss as many eggs as you can at an object to earn more coins based on how many hits you land. 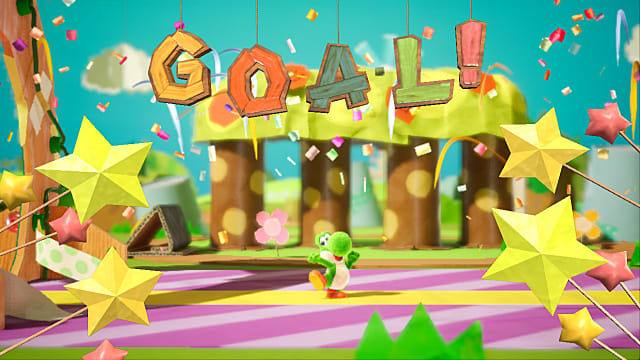 Like almost all Yoshi games, the purpose of each stage is to reach the goal. 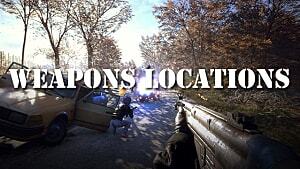 But this is a Good Feel game, which means there's a ton of items to collect along the way. 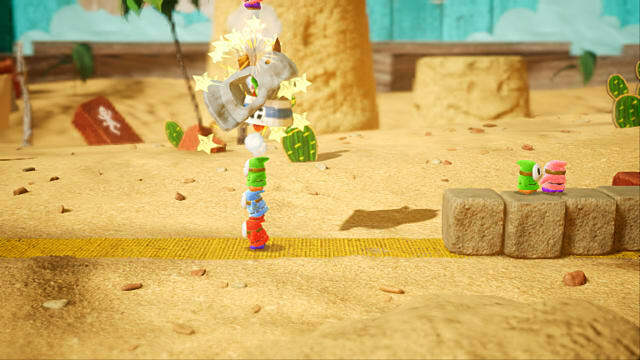 Unlike Extra Epic Yarn's beads, soundtracks, and medals, there are fewer types of item in Crafted World, but they all have a specific purpose directly related to gameplay. The primary items you'll gather are Smiley Flowers (with tiny, crinkly paper petals) and Dino Coins. There's the regular variety of coin, and Crafted World also includes Red Coins and Blue Coins. Each level contains a set number of Smiley Flowers for you to find, ranging from 5 in the early stages on up as you progress through the Island. There are conditions you can meet to earn bonus Smiley Flowers as well: 1 for reaching the goal with 100 coins or more; 1 for collecting all 20 Red Coins; and 1 for reaching the goal with 20 Hearts (a full health meter). 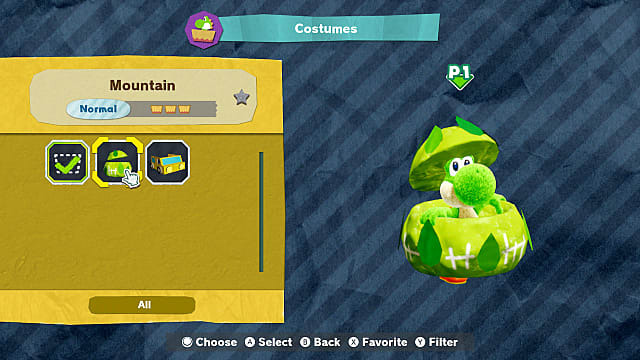 Finding the Red and Blue coins or even all the Smiley Flowers in a stage isn't always easy, as Crafted World rewards players for paying attention. An enemy under a platform might seem like something you can just ignore and be on your way, but defeating it might make a question mark cloud appear, which could gift you with coins, Red Coins, or even a Smiley Flower. The same applies to other, out of the way areas you might come across. 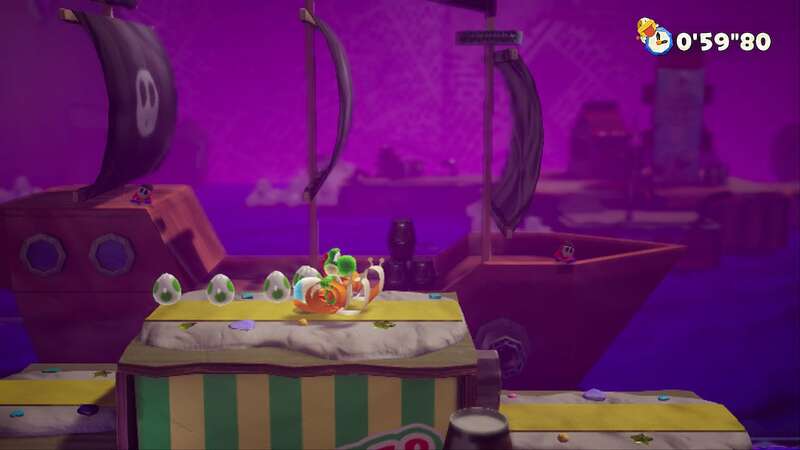 Dead ends aren't always dead ends, and Crafted World often makes good use of Super Mario Bros.'s World 1-2 trick of hiding something important just above the screen's reach. The other component of Crafted World's levels is the Flip Side. The Flip Side has Yoshi play through a stage starting at the end point and from a behind-the-scenes perspective. The objective here is to find all three Poochy Pups. Each rescued Pup grants you a Smiley Flower, and if you manage to bring them to the goal in a certain time, Poochy offers you a bonus Smiley Flower. In theory, it's easy. In practice, you'll likely find yourself taking advantage of the Retry option to start over. Some of the Pups are well hidden indeed, and a few stages are trickier from the opposite perspective. Playing through each level from behind the scenes offers more then just a backwards playthrough, though. You actually end up seeing a whole new world. If you've watched the trailers or played the demo, you've already had a taster of how that works — seeing the Shy Guys hold up props or noticing more of the crafted element that really makes it feel like you're playing behind the stage where no one was meant to see. But the attention to detail here is just as remarkable as in the normal side of the stage. For example in Pirate's Pier, you usually see a seaside village in the background, but on the Flip Side, you realize why the stage has its name. The Flip Side shows you the rest of the stage, in this case, another side of the harbor that's full of Shy Guy pirate ships. Mousers and Magnets is another good example. The normal stage has a definite hiking-and-camping vibe to it, and on the Flip Side you see Shy Guys chilling out near a tent, enjoying the view down the mountain. Each stage has a story to tell from the other side, whether you want to take the time to see it or treat it as a speedrun and see how fast you can finish it. After you finish an area, you have the option to play through stages to find souvenirs for the crafted robot that opens each area for you. Some are in the normal side of the stage and some are only in the Flip Side. Chances are, you've seen and interacted with them in your first playthrough: Milk bottles, a paper airplane, a plate flatfish, and so on. Each souvenir earns you a Smiley Flower, and you don't have to finish the stage completely once you've found them, which is a nice bonus. However, if you just want to casually play through each level or speed through it as fast as you can without heeding the hidden, the game lets you do that too. 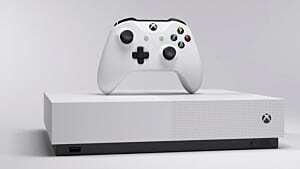 That open-ended approach makes it perfect for a wide range of gamers and helps deal with one of only potential issues in the game: backtracking. The Flip Side is essentially the same stage, though with a different approach to how you play through it. Plus if you want to obtain all the items in a stage, chances are, you might have to play through a few times. That won't sit well with everyone, but the good thing is, you aren't punished if you don't want to do it, and you don't miss out on anything overly vital to the overall experience. 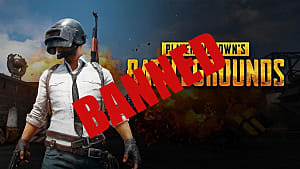 It's a remarkably astute design approach that maximizes how much each player can get out of the game based on their playstyles and preferences. Another thing that's bound to appeal to a variety of gamers is the costume subsystem. There are hundreds of unique costumes to unlock in Crafted World, from milk cans to paddle-boats, trash cans to cat costumes, and everything in between. They're easy to unlock as well. Each area has a capsule vending machine and a board showing which costumes are available. For 100 coins (more in later areas), you get one capsule. Capsules are ranked as normal, rare, and super rare. Because you'll get so many coins over the course of each level and there are no repeat costumes, this is gacha at its mildest. The payoff is always adorable regardless of its rarity. Each costume has a durability ranking as well, showing how many hits Yoshi can take before the costume breaks. Normal can take three hits, rare takes four, and super rare can take five. The costume doesn't disappear once it breaks (you can use it again in the next level), and it's a good way to preserve hearts to get that bonus Smiley Flower at the end. With the exception of a few Yoshi's Island games, Yoshi games aren't known for providing a huge challenge. 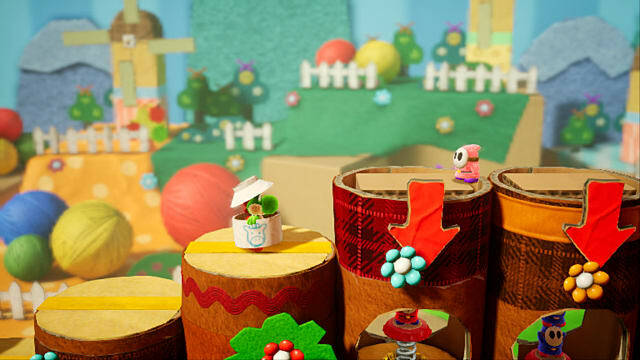 Crafted World is no different in most regards, but it takes a different approach to challenge overall. 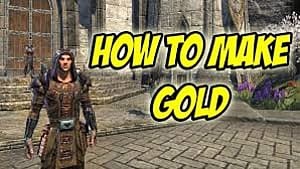 While the game's early areas aren't particularly taxing, later ones do require an element of precision and certainly require you to pay attention to what's going on. As a whole, it's designed to be playable for everyone. Mellow Mode lets Yoshi hover and fly higher, gather more hearts, take less damage, and employ a Flower Tracker to find hidden Smiley Flowers. You can change modes at any time, but Classic Mode balances some tricky platforming with accessibility, meaning it shouldn't present too many issues anyway. Like with Woolly World and Epic Yarn, the main challenge is finding everything there is to find. That doesn't mean level design takes a hit, though. Nintendo's other recent platforming hits like New Super Mario Bros U and Donkey Kong Country Tropical Freeze require precision timing and platforming mastery as you hurtle through each flawlessly designed stage and marvel at how each move flows beautifully into the next. 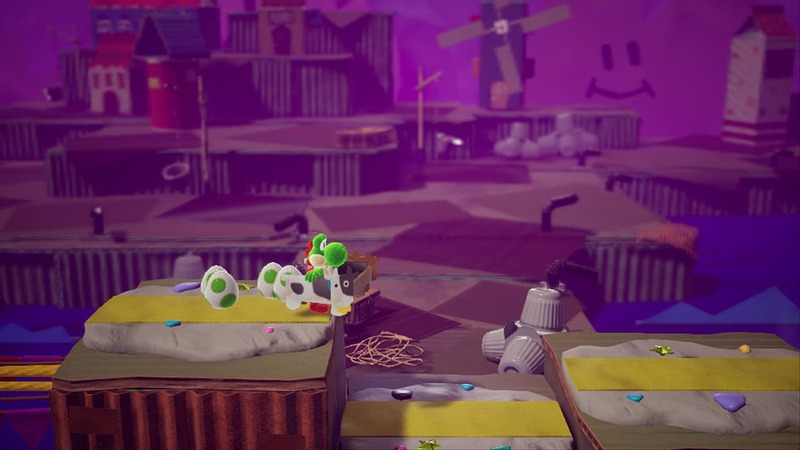 Yoshi's Crafted World has that same philosophy in level design, where everything falls into place, but invites you to take your time and see exactly how perfectly each level was designed while you enjoy the sights at the same time. 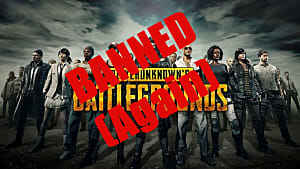 The game is certainly worth looking at. 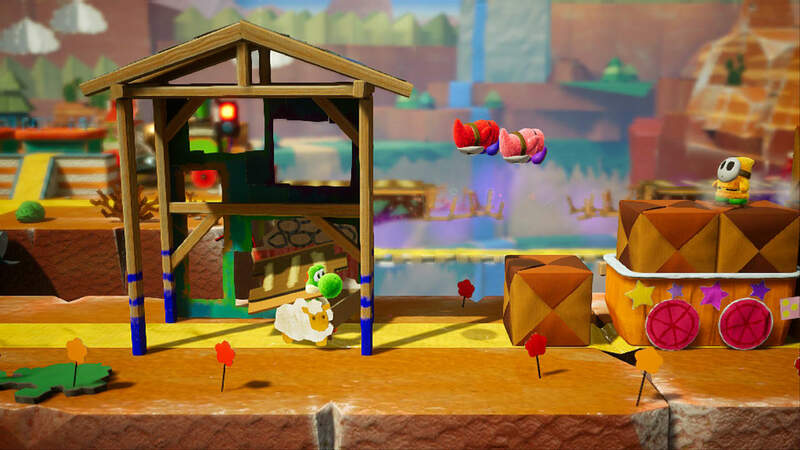 Fans heaped praise on the Wii U version of Woolly World for its fantastic textures, but Crafted World takes that to another level and is easily one of the better looking games on the Switch. Every item used for crafting looks legitimate, like you could touch it and it would feel like the real thing. From the plastic-ness of the coffee creamers to the crunch of cardboard and the crinkle of foil. The Yoshis themselves strongly resemble styrofoam crafting balls (though some claim it's wool). The game's soundtrack is a delight as well. The tune you hear the most is the theme encountered at Sunshine Station and in most of the trailers. Like the crafting materials themselves, though, it's noteworthy how one basic thing can be used in so many ways. The area pictured above is one example. It uses a sped up version of the theme, with whistles instead of the recorder sound, and it really adds to the overall camping, outdoorsy vibe. Slow it down and throw in some elements akin to Super Mario World's underwater theme, and you've got a perfect aqua theme, adding in some xylophone effects and staccato creates a desert theme — you get the idea. Yoshi's Crafted World suits the Switch's design philosophy very well. There are very few, and hardly noticeable, differences between handheld and docked mode. 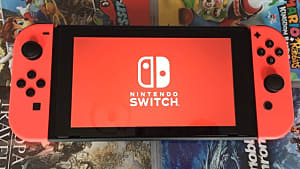 Some comparison videos show handheld mode being blurrier, with objects less distinct as well. That isn't something that stood out to this reviewer, though. Chances are you can't tell which of the images included in this review are from handheld or docked mode without looking very closely. The HD Rumble is used to good effect as well. Unlike some earlier Switch games that implemented Rumble with as much subtlety as a train wreck, like Xenoblade Chronicles 2, Crafted World uses it as a nice supplement. There's a slight rumble with every landing; a drawn out, low rumble for flutter jumps; and, amusingly, an initial short rumble followed by a bigger, louder one when Yoshi consumes an enemy and produces an egg. The short, strident rumbles that accompany Poochy Pup barking are both very fitting and very helpful in letting you know where the lil' critters could be. It's not the most innovative use of HD Rumble, but it fits smoothly and perfectly with every element of gameplay. Yoshi's Crafted World is an absolute joy to play, a rare game that puts a smile on your face from the title screen until you power it down. The lack of challenge and the backtracking requirements to get to 100% might turn some people off. The fantastic visuals and attention to detail, combined with skillful, clever level building, and an unending barrage of new content and ideas make this not only the best Yoshi game in a long time, but also a masterpiece of design on par with the best the Switch has to offer. Don't let the green dino's mid-tier status fool you. With fluid platforming, incredible attention to detail, and a huge variety of content, Yoshi's Crafted World is a must-have Switch game.